Four times the capacity of the standard directory in our filler sets. 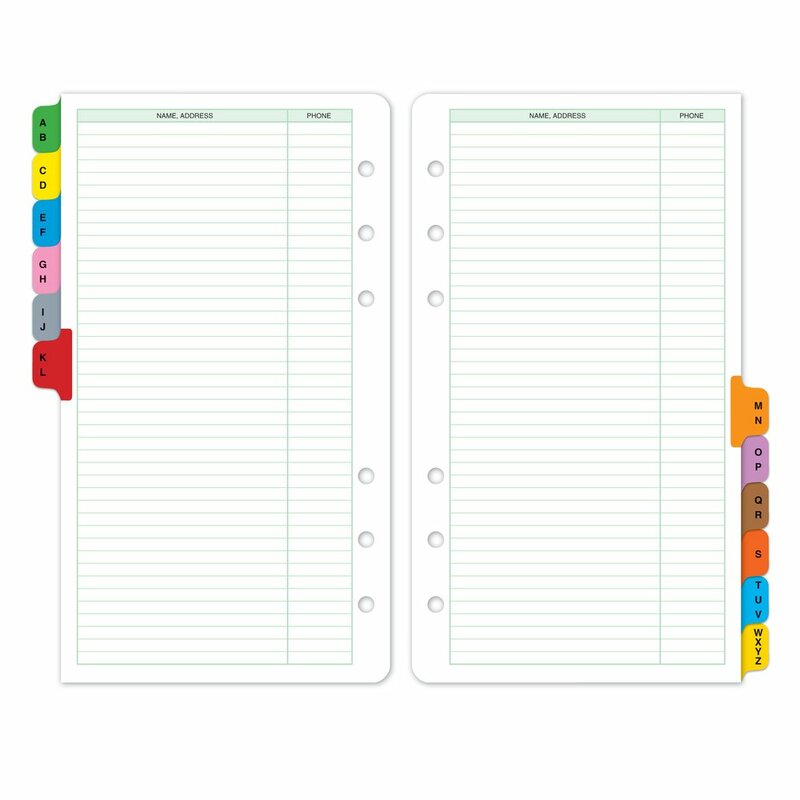 The bright-hued tabs are easy to find in your binder. 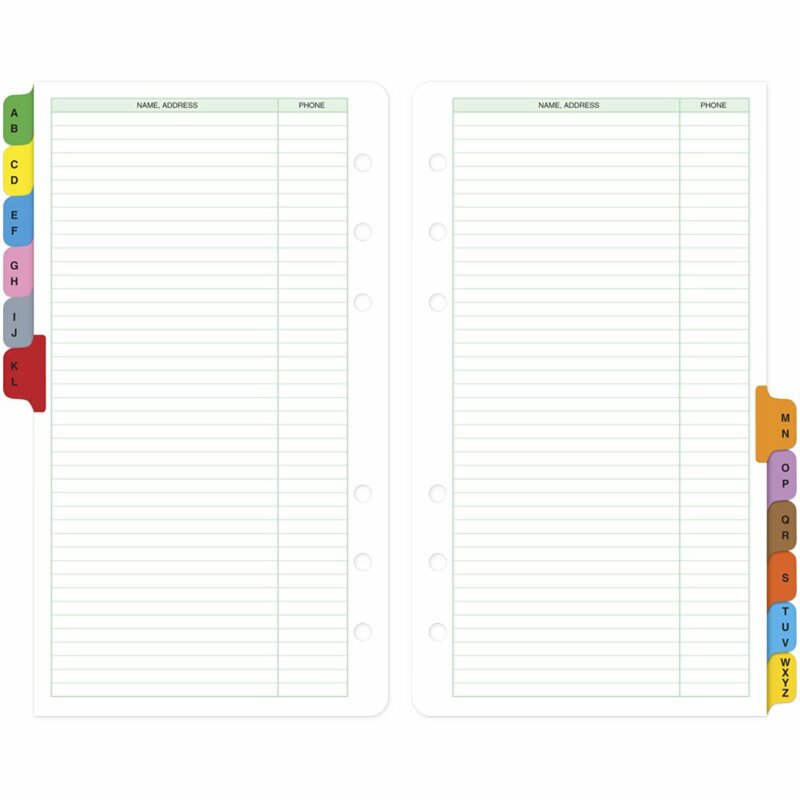 12 alphabetical tabs, plus 24 extra sheets to use wherever you need them.